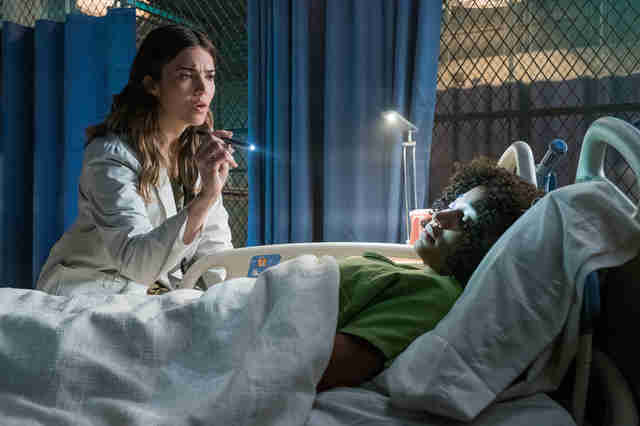 For Jennifer Yuh Nelson, best known for directing two Kung Fu Panda movies, the opportunity to break into live action with The Darkest Minds, an adaptation of Alexandra Bracken's YA dystopian series of novels, was irresistible. 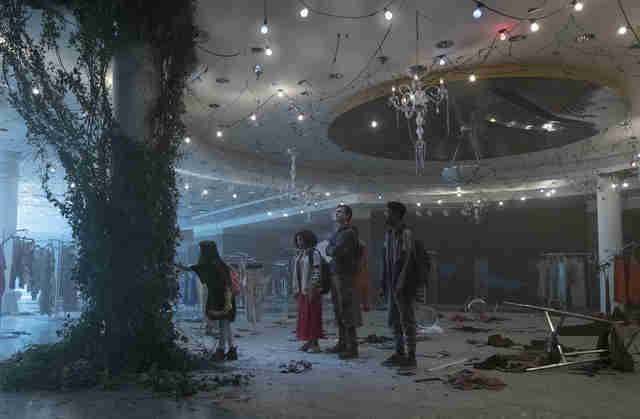 It's a world where most of the children and teenagers died, and those who survived developed strange new powers, which caused the government to exterminate some and put others in camps, where they could be controlled. It's an action story, but a lot of the action takes place in our heroine's head, since her power is telepathy. Working with screenwriter Chad Hodge, the challenge became how to make the movie every bit as compelling as the book series. 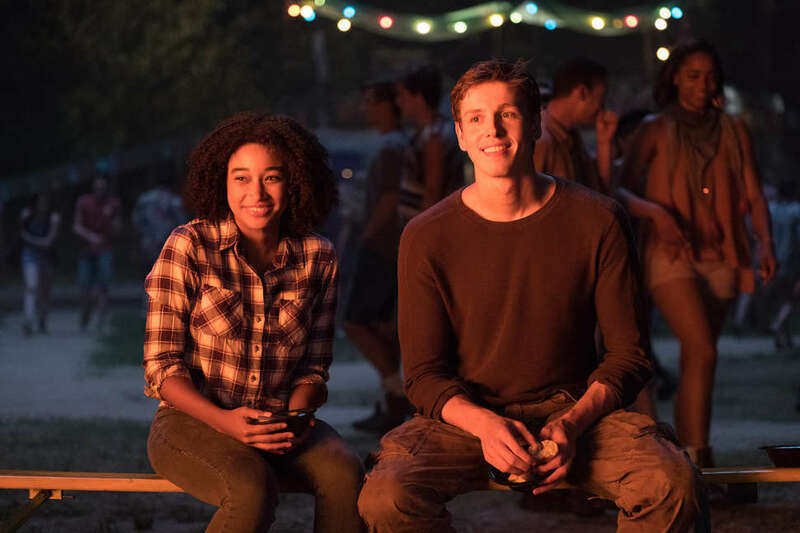 Nelson chatted with Thrillist about how she resisted making The Darkest Minds too dark, working with the book's author, and why she's tempted to steal a flamethrower. What was the biggest adjustment you had to make in switching from animation to live action? Is it true that, in your pitch to direct this, you storyboarded out some of the movie? Nelson: Yeah! I'm a very visual person, and one of the ways that I can explain the movie, especially if it's something that is physical, or something that people haven't seen before. I don't go into a room and do the sort of Hollywood sales pitch of like, "In a world..." or, "It's like this meets that!" I don't do that. I think it's easier for me to just show them, "This is what the movie could be..." One of the things that I did was that animatic, just to show what the movie could be about, so it was of the big emotional moments of the film. I set it to music, and I crossed it with the big finale, so they could see the balance between the emotion and the really cool, anime-inspired action that we could make. It was very different! I don't think they're used to having a director come in and draw something for them like that. [Chuckles] And actually, it turned out to be shockingly close to what ended up in the film. I tend to think things through a lot, before I actually do anything, so a lot of the images I had in my head are in the final product of the movie. What were your initial conversations like with Chad Hodge, and how did you make your visions match up? Nelson: When I first came on, there was a first early draft by Chad, and of course I worked with him to figure out how to make it so that what I would see was the best visualization possible of the book. And there were things that Chad and Alex had been talking about, before I arrived, saying, "This is important, this is important," and I was aware, too, that we couldn't change some things that were very important from the book. And it was clear which things were, because they were the most emotional stuff, and little moments that would make fangirls giddy. I not only checked in with Chad about it, but I would check in with Alex: "These are things that we're changing, for this and that reason, and do you think that would be okay?" And I remember for some things, she'd be like, "Well, maybe some people will be upset about it, but if it's better, then there's a good reason to make it different." But it was always done with a great deal of consideration, because I don't want Alex or the fans to be unhappy with how the book is adapted. So if anything is changed, it wasn't willy-nilly -- it was for a definite reason. Such as changing the "Yellow" designation to being called "Gold," for electrokinetic powers? Nelson: Right. "Gold" is just to get away from "Yellow" having any racial connotations, considering our electrokinetic character Zu is Asian. It's something I spoke to Alex about, and she was like, "Oh my gosh, I hadn't thought of that. We've really got to not say that." And so that was just a little subtle shift, in order to be sensitive to people. Nelson: Chubbs was Blue in the book, and one of the reasons we switched that was he needed to have his own unique thing. He needed to have his own personality, and a power that was his own. And in the book, he was the smart one anyway, who figured everything out. As Alex said, he's the most Green-like Blue ever! So he was always going to be second to Liam's powers of Blue-ness, because Liam is an incredibly powerful Blue, and he's the romantic lead. So rather than make Chubbs come in second, we made him someone more unique, which was just pushing further into what the character already was. In pushing him into making him smarter, it made him really funny! He became the guy who would comment on things, because he sees them as they really are. He ended up with the great, laugh-out-loud lines, and I think you need that levity, in the face of all the dire situations. You can endure the darkness because there's more light. And if you look for it during one of his scenes, you can see Alex. She came on set on the day we were shooting the big ending. She plays a nurse who is tending to Chubbs at the end. What about the change where you visualize their designations with eye colors? Was that purely a visual effect, or are they wearing color contacts? How did you do that? Nelson: I'm so glad that you actually wonder! [Laughs] It's supposed to look very practical, like contacts, but it was all VFX. One of the things I wanted to do was give a visual cue to show people using their powers. In the book, there's a lot of description about how it makes you feel, like the pressure in your head. It's very internal. That's a lot easier when you have someone narrate what's going on. And to ask an actor to just show that, it's just a lot harder. I'm such a fan of anime, and I just love the grounded weirdness that's in anime. Grounded so that it's not crazy, over-the-top. Subtle stuff goes the furthest for me. And I always thought of animals at night, cats at night, and how you see just a glint of reflection on their retinas. It's just a little bit disturbing, but it's real, and it's something I wish I had. [Laughs] People don't reflect in their eyes the way animals do. But why not? If we can do that to show what the powers are, we get the feeling, without having to describe it with a voiceover. It's a tough thing, because you don't want to do the entire movie in voiceover, but I'm looking for the feeling that the book had, and we have to show it. Miya Cech, who plays Zu, is adorable. Nelson: First of all, she's an amazing actress. And she's such a little chatterbox. She talks all the time. And for her to not talk, since her character doesn't talk, and just communicate and emote with her eyes, was amazing. That's a level of acting that is just shocking, and she's like ten years old. She took me aside and she said, "Jen, um, if I have to cry, it would help me if I could just have a few seconds just to sort of get there. I just have to think of something really, really sad, and I'll get there, but could I have that little bit of time?" And so I said, "You just give me a hand signal. You just wave to me, and I'll know that means you need that little bit of time. Don't worry. Nobody will rush you. We'll make sure that everybody waits for you. We can go when you're ready." I don't think a lot of actors get that level of time on these crazy shoots that we do, with all these people waiting around to get the shot. It's intimidating and scary, especially for someone so young. So I think that level of safety helped her. Did you ever toy with going darker? Anything that you were debating including? Nelson: Yes, because there are much darker aspects in the book, but it wasn't like, "Oh my gosh, I wish we could do this, and we can't." It was never like that. When I first read the draft, there were aspects of it that could have gone even darker. But the difference is showing something versus reading something. When you show something, it takes on another power, so I never want to show something that feels gratuitously violent. And strangely enough, we didn't have to struggle much with how dark we were going. If anything, I was just making sure we weren't going too dark, or too flip, at that moment. How much do we show someone getting killed? How much do we show people getting damaged by things? But we didn't want to go too far. There's no reason to. I just want to take it to the point where it needs to be to tell the story and be true to the characters. You must have noticed that the movie has become more relevant than you could have planned, with immigrant children being separated from their parents and put in camps. Nelson: It's interesting, the timing of it, but it certainly wasn't intentional in any way. The book was written several years ago, the script was written a couple of years ago, so for us, it was a science fiction idea. I mean, who could imagine that this would actually happen? But one thing that's interesting is that I think it does tap into where people sort of are, as a generation. Young people now are sort of seeing that it's really up to them to take their own lives into their own hands, that they can't look to others to solve things for them. That sense of activation, of agency, of empowerment of the new generation is really good for society. That's where change and new ideas come from. It's just very positive to see young people stepping forward and voicing their opinions about their lives, and that's certainly not something I expected when we were starting up on this film. That sense of uplift and that sense of activation and empowerment is what I wanted people to feel anyway, over the course of watching this film. I wanted people to feel energized.